How to make a Training Schedule? Download our Training Schedule template now! We provide a template that will professionalize your way of communication to training participants. 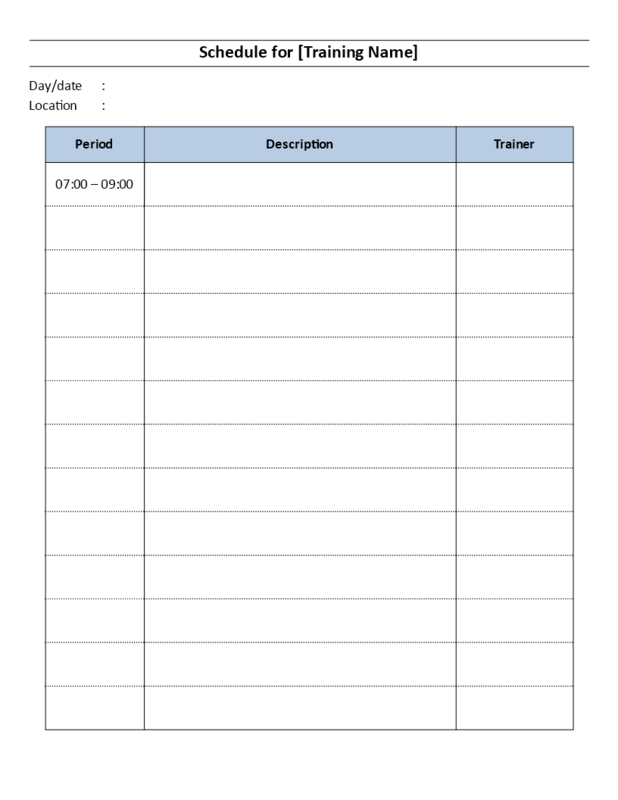 It's a very easy to fill in a template, which includes the time, description of activity and name of the trainer. This will be sufficient for the participants to use during their training day. Using our training templates guarantees you will save time, cost and efforts!